2015. 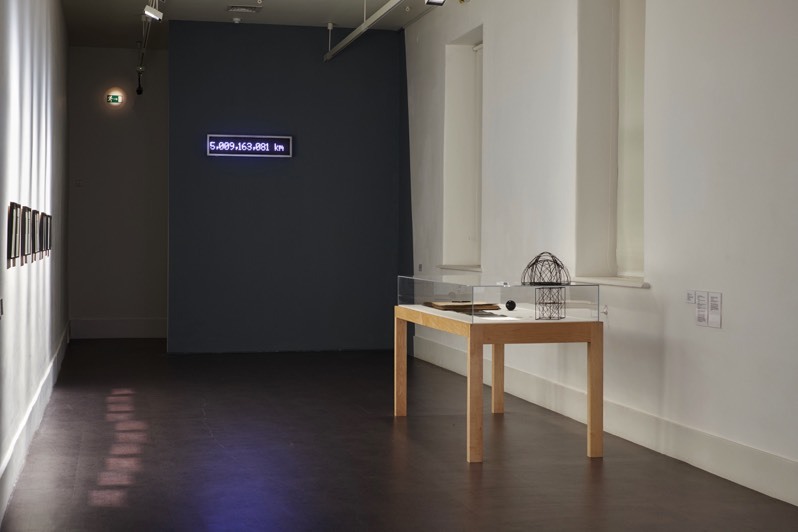 Installation; computer, digital counters, aluminium panels. From Here To Pluto is a digital installation that refers to the constantly changing distances from the viewer on Earth to the planet Pluto. 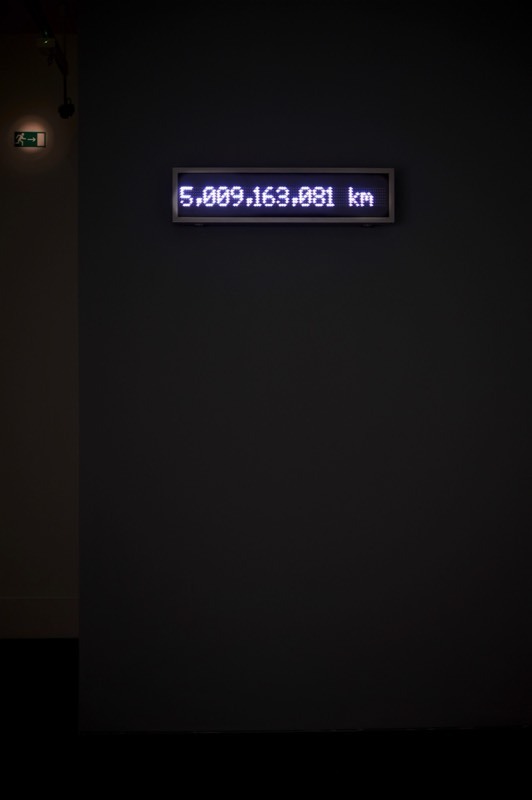 Generated by a computer program on a continual basis, the distance is measured specifically from the Museum to the planet on a counter, declaring the planet's current distance, as it changes continually in real time.